Sometimes the best thing for your rapidly growing business is to slow down. I have this quote framed in my office: “Slow down to go faster.” For a rapidly growing company, it seems counterintuitive that you need to slow down, but making sure you have things in order is key to your continued success. Moving too quickly can lead to what feels like constant chaos, or worse, mistakes. Even racecar drivers need to make a pit stop mid-race to make sure they can continue to run at peak performance. When it comes to making a pit stop for your business, here are three things to keep in mind. You don’t need to hire a fortune teller, but you will need to do your research and listen to your gut. No doubt you already have plans for the future of your company, but do the plans you made still apply? Look at your industry. What are the trends, and what can you do to stand out in the market? Although there’s no way to know exactly what’s coming, you do know your company and you know your strengths. While there can be external changes and pressures on your organization, there are internal pressures as well. When you are on the edge of launching a new product, a big new feature in your software or expanding to a new country, take a moment to anticipate how these new changes will affect different areas of your company. Knowing what’s coming doesn’t help you if you don’t have the necessary resources. This means taking a look at each element of your company. While this may not feel like the rapid forward progress you feel like you want to make, it will save you a lot of time, effort and money in the long run. Review your staffing, systems and processes holistically across all departments, and look at individual departments that may be impacted more in the coming months. Where are those pressure points? Do you have the right people in the right places? Is there a system that needs to be updated or even swapped out completely to handle the higher volume that is coming? Are there any processes that need to be reinforced or revamped to better handle what’s next? It’s tempting to pick out the curtains before the foundation is built and jump into the coolest new thing, but you need to do the hard work of building that foundation before you can do the fun stuff. As the saying goes, perfection is the enemy of progress. Perhaps the most important thing to remember when slowing down to go faster is that you can’t achieve perfection. Don’t fall into a trap of overanalyzing and waiting until “one more thing” is in place. A key attribute of executive teams in successful companies is that they are decisive and know there is no such thing as perfection. Once they have paused and done an analysis of where things stand, they know when it’s good enough to move forward. If you are going to pause to get things realigned, make sure the realignment is the No. 1 focus of the whole company so you can get it done quickly. 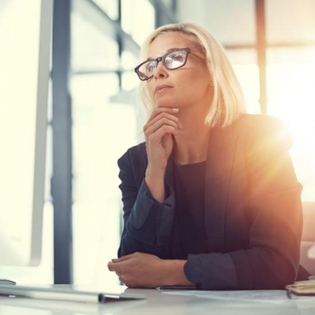 Plan ahead and set a specific time frame — perhaps one month or one fiscal quarter depending on your situation — to review your organization and get things aligned to prepare for what’s next. While rapidly growing companies can really benefit from taking a short pause to reset your operations, you need to do so with a laser-like focus and a short time frame in order to keep growing.